← Kim Wright. The Unexpected Waltz. New York: Gallery Books, 2014. Rose Seheni. Dancing on Rocks. Chimney Rock, NC: K.I.M. Publishing, 2014. Dinah Haydock has spent her whole life in Chimney Rock, and she’s proud of the role that her family–the Flacks–played in founding the town and building the resort hotel that put the town on the map. The town, dependent on the fickle tourist trade, has had its ups-and-downs, but Dinah has held onto the store on the main street that she and her husband inherited. But it’s now six months after her husband’s death and Dinah has made a mess of things. She’s been speculating on land and putting these expensive purchases on her credit cards. She’s also been careless driving her motorcycle around the mountains. When she’s injured on a ride, her oldest daughter, Georgie, comes back to take care of her. Georgie is a nurse in Boone. 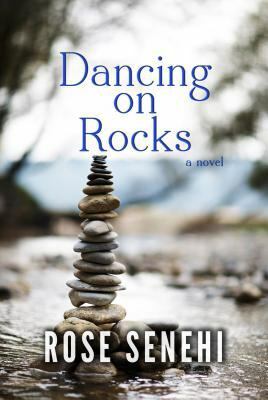 This extended stay in Chimney Rock will allow her to mull over a marriage proposal she’s received from a man she works with, but she’s not looking forward to being back home–too many memories, too many secrets, too much heartbreak. Dinah’s heart was broken when her youngest child, Shelby, disappeared one night twenty-five years ago. Georgie and her sister Ali grew up with their parents’ sorrow and with the feeling that their mother loved them less than their lost little sister. Ali has gone on to a good life–she’s married with two children of her own–but her mother’s detachment and her irrational belief that her lost child will return have cast a shadow over her. Ali’s husband is in service in Afghanistan, and she has enough to worry about without the awkwardness that comes when her mother enlists neighbors and the police to follow up on the latest Shelby sighting. Georgie married, but her husband was a good-time Charlie who didn’t want children. Now as she’s settled into her thirties, she finds herself divorced and childless, contemplating marriage to an older man who already has all the children he wants. Seeing Ron Elliott, her first great love, again only increases Georgie pain. Without knowing how it will turn out, Georgie realizes she must own up to what she knows about her sister’s disappearance. Will her actions bring her family more pain or some healing?